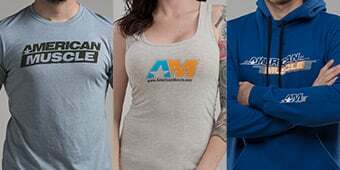 Hey everybody, I'm Justin with americanmuscle.com. This is my detailed review of the Borla Stinger S-Type Cat-Back exhaust system with Y-pipe available for your 2015 and up EcoBoost powered Mustang. 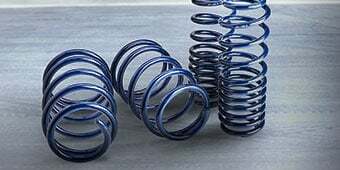 You should be checking out the S-Type from Borla if you're after a quality system from a name like Borla, you don't mind spending a little extra to get that premium build, and finally and most importantly you want a deep aggressive tone for your EcoBoost. 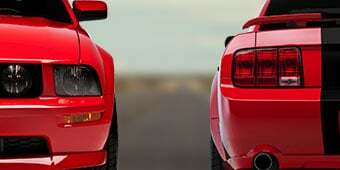 It's been my experience, guys, that there are generally two types of EcoBoost owners out there: Ones that would like to keep things as quiet as possible and ones that would like to hear a good amount of engine noise and turbo noise. As you guys heard with our sound clips earlier, the S-Type is definitely going to be on the little bit more aggressive side, but it's definitely not the loudest system we offer. 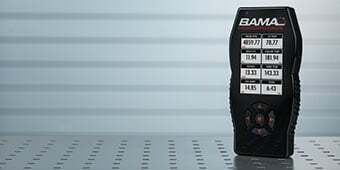 This is one of a handful of offerings from Borla for your EcoBoost powered ride and is going to fall right in the middle between the Borla Touring, which is their milder of the three systems, and the Borla ATAK which is definitely their most aggressive. Comparing the S-Type to the more aggressive ATAK, I'd say the S-Type is going to offer a deeper more refined tone overall compared to the ATAK which is going to be a little bit more loud, a little bit more in your face. Overall the S-Type is still giving you a good amount of volume and you're still getting a good amount of turbo noise, which I personally enjoy. That being said, guys, on my one to five or one to wake the neighbors scale, I'm willing to give the S-Type here a solid three out of five, maybe even inching up to a four out of five overall. Again, you're getting some good amount of volume here. If overall volume is your number one goal then the ATAK would definitely be the better system for you. Let's switch gears a little bit and talk about the construction here with the Borla. If you've had a Borla system before, you know you're getting a premium product. As such, you are going to be paying top dollar. The S-Type falls right in line with that $1200 to $1300 price range which is definitely at the top of the food chain when it comes to EcoBoost Cat-Backs. 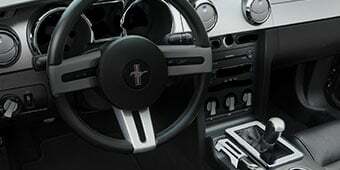 However, you are getting what you pay for here, guys, 304 grade stainless steel throughout, two and a quarter inch mandrel bent tubing, the included Y-pipe, Stinger mufflers, all exiting out the large four inch polished tips embossed with the Borla logo. My one small nitpick here with the Borla systems is the diameter of the piping. Two and a quarter inch is a little small in my opinion for a turbo car. Personally, I'd like to see two and a half or two and three quarters or even a three inch system, especially when you're talking about a turbo application. That being said, it's not ultimately going to kill your performance. If you do plan on going all out later on down the road, you might want to consider a different system. All right, guys, on to the install. Thanks to the S550's new independent rear suspension, that makes catback installs a whole lot easier. Dropping the factory Cat-Back and installing the new Borla system here can easily be accomplished by anyone with a few basic hand tools and wrenches and basic socket set, guys. One out of three wrenches on my overall difficulty meter here. Maybe an hour or two in the garage or driveway from start to finish. Of course you are working underneath the car, so make sure you have your jack and jack stands ready to go or a lift or race ramps if you have those. You can do this by yourself. I will say an extra set of hands would be helpful in dropping the factory system since it is one piece and it can be a little cumbersome. Overall, you should be able to do this by yourself without any issues. In the end, guys, I really do enjoy the S-Type for the EcoBoost. You are getting a good amount of tone and turbo noise but without being totally obnoxious. Even better, it's completely quiet inside the car. Again, I'd like to see slightly bigger diameter piping here, but overall you're going to have a very hard time beating the quality and construction of a name like Borla. 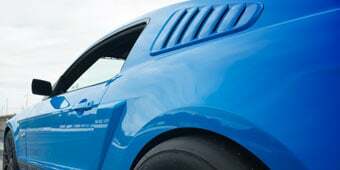 Be sure to check out a system for your EcoBoost powered Mustang here at americanmuscle.com. Aggressive Throaty Sound. 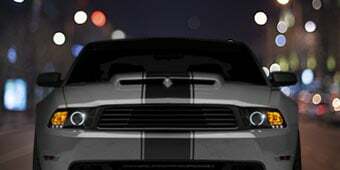 Add an aggressive throaty exhaust note to your turbocharged 2015-2019 EcoBoost Fastback Mustang with a Borla Cat-Back Exhaust System that features a pair of Stinger S-Type mufflers and 4" embossed chrome exhaust tips. This catback not only sounds great, but also improves exhaust flow with the included Y-pipe for an increase in horsepower and torque. High Quality Construction. Manufactured from ultra smooth mandrel bent 2.25" diameter stainless steel tubing to improve exhaust flow, this Borla catback exhaust system includes an Y-pipe and features two straight-through "Stinger" mufflers with 4" chromed stainless steel tips that are embossed with the Borla logo for both aggressive sound and impressive looks. Application. This Borla Stinger S-Type Cat-Back Exhaust System is designed as a direct bolt on replacement for the 2015-2019 EcoBoost Fastback Mustangs without the Active Valve Exhaust. Not compatible on Convertible models. Please Note. 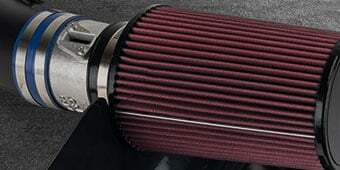 The included mufflers are 49 state drive-by noise legal, not intended for use in the state of California. Piping Size: 2.25" Tip Size: 4.0"
There are multiple cat-back exhausts on the site that specify being exclusively for fastbacks. What is different about the underside of the convertibles that prevents these systems from working? 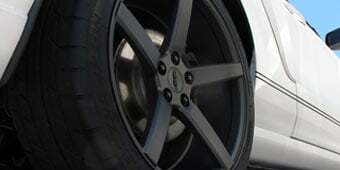 The convertible models have additional bracing and support that interfere with many aftermarket exhausts. This bracing is not present on fastback models. What is the difference between the Borla Stinger exhaust and the Boral ATAK exhaust? The Borla ATAK exhaust is the loudest kit offered by Borla. The Stingers are generally considered to be the middle ground. Not quite as loud as the ATAK, but louder than the Borla Touring. does this exhaust fit a 2015 ecoboost, that is an automatic? Yes, this exhaust will fit all 15-19 Mustang EcoBoost models. Will I need a tune after installation? 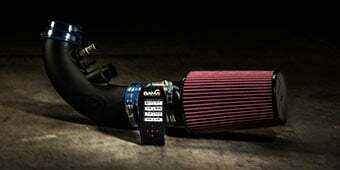 Just install a ROUSH Cold Air Intake System! It said no tune required. Thank you. The Borla Stinger cat-back exhaust does not require a tune after installation. will this fit an ecoboost premium? The Borla Stinger S-Type Cat-Back Exhaust will work on the premium EcoBoost models yes. The S-type is actually louder at idle, where the ATAK is louder overall. This would be why, in this case, the ATAKs work in California as where the S-type does not. Hello! Yes, you are still able to use this exhaust for track use in California, as long as it isn't driven on public roads! The Borla Stinger S-Type Cat-Back Exhaust does not meat California's drive by standards for exhaust noise levels. Correct. The resonator on the Borla Touring helps to lessen the exhaust tone from the stingers to give you a quieter sound when driving. The Borla Stinger S-Type Cat-Back Exhaust can yield from 5-15hp with a tune and optimal conditions. With out a tune, you can expect lower yield around the 5hp range. The Borla Stinger S-Type Cat-Back Exhaust does not require a tune for proper functionality. If you have a tuner, we would recommend a tune for the exhaust to maximize the benefits of the exhaust, but it is not required. I wasn't quite sure what to expect from this exhaust in terms of loudness and the deep tone of it, however the video does it no justice. It's pretty loud and has nice deeper tone than most exhausts out there. Definitely worth it! Not bad, but if you are expecting to get the throaty sound of a GT, it will not compare. However, it does accentuate the sound and increase the sportiness of the Ecoboost. Had this exhaust installed about a week ago. the sound is really impressive coming out of a 4 cylinder car. Not too loud where it is annoying but has just that perfect sound that gets attention when accelerating. Sounds good at idle too. I have my own personal tech that works at a local repair shop install it. His specialty is custom exhaust so it was done in less than an hour and the chrome tips are lined up perfect. After listening to several exhaust video clips I decided to purchase these. I am so glad I did! They are AWESOME! If you want a nice deep growl to your turbo then this is definitely the exhaust to buy. It's not noisy when driving at a steady speed but when you "get on it" they are there and don't disappoint! They have very nice chrome tips with the logo, too. Go Borla Stingers! Exactly what I expected. The videos are very accurate. Going from the stock exhaust to this is a great upgrade. A nice aggressive sound gets attention but not enough to the point where it is annoying. Definitely recommend. This is by far the best sounding Cat Back setup for the '15 EcoBoost. Very aggressive when accelerating, yet quiet when cruising with NO DRONE! !